#AsthmaAustralia and #TerryWhiteChemmart have partnered to to ensure your child is asthma-ready for school. If you haven't done this yet put it at the top of your list B-fore you wished you had. 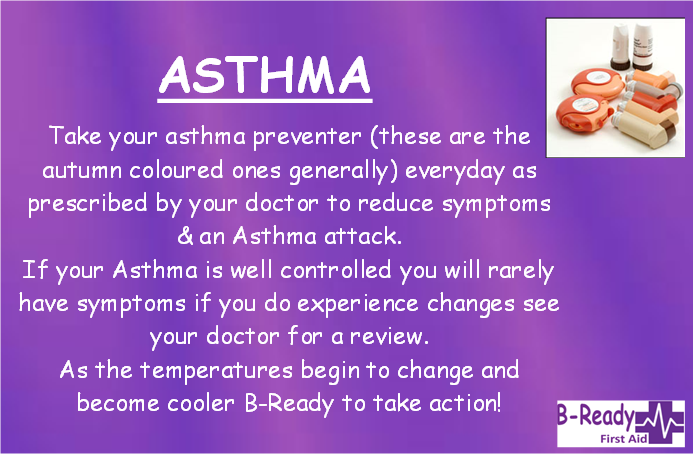 If anyone with Asthma has an action plan we should follow it as it is designed for their needs. 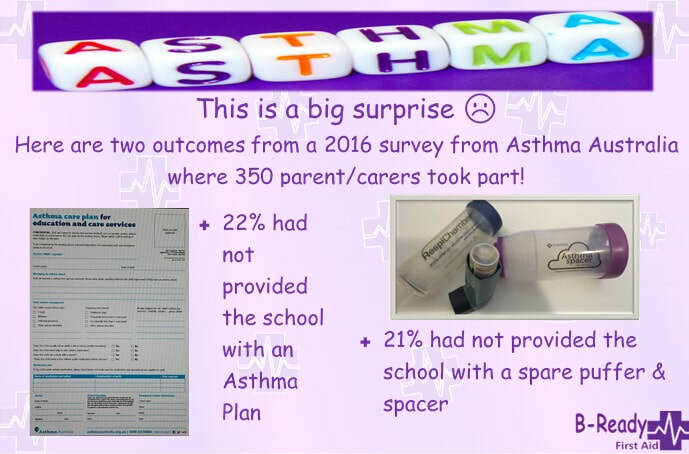 If no plan to to the 4 x 4 x 4 technique & if it's not asthma no harm is likely to result from giving a "reliever' inhaler to someone without asthma. 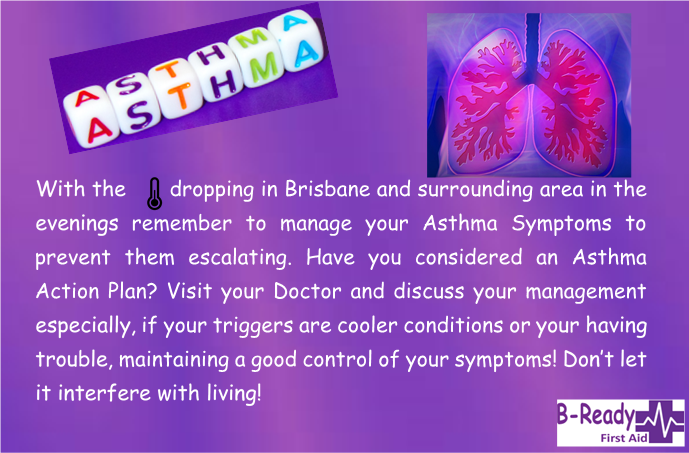 For those with Asthma winter can be a difficult time,when they may find the changes impacting upon quality of life. keep an eye out for your loved ones. Managing changes can B-the Difference so B-Ready! Using a spacer is essential for children and beneficial for Adults especially with their reliever medication. Always shake the puffer before you use it, in an up and down motion, not side to side otherwise the medication and propellant don't mix evenly and an inaccurate dose is the result. Even if you are in doubt as to how serious a flare up or attack is, better always to administer Ventolin than to have it rapidly become worse. 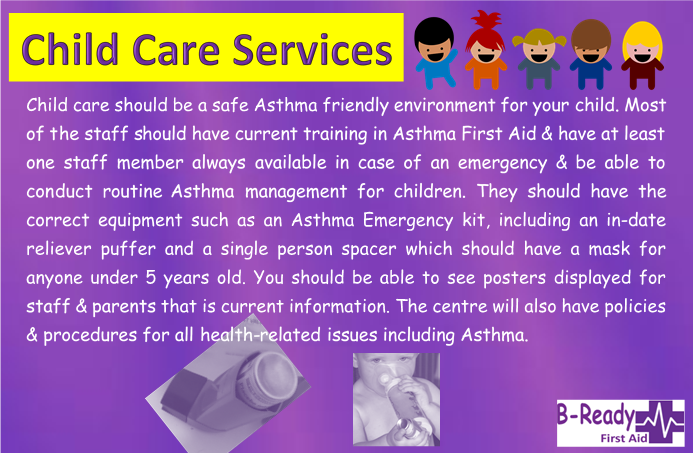 Schools and Care Services should have an Asthma Care Plan for your child to assist them with routine medications. Have you provided them with one from your Doctor? requirements to keep our kiddies safe. All the centers we visit are doing just great! 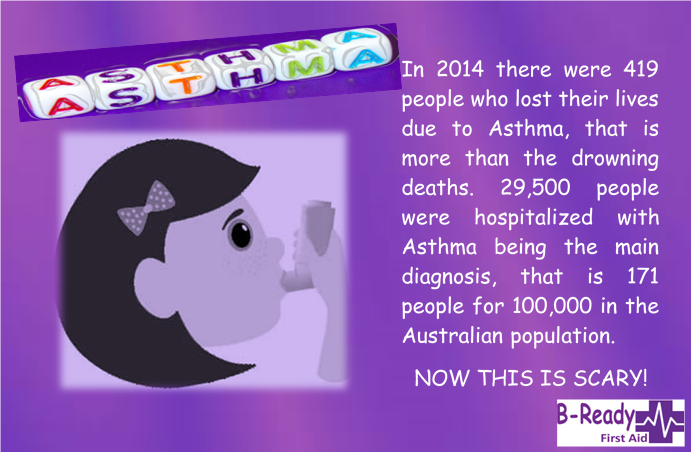 I wonder what the statistics will be for 2016 after the recent thunderstorm asthma event in Australia. Not essential to know how this system works but imperative that it functions well. An Adult breathes approximately 500 ml of air per breath. 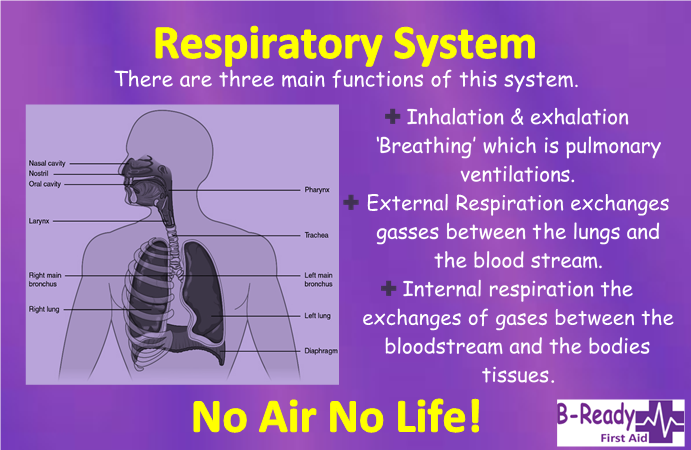 What can cause breathing difficulties? Take a read about this invention, quite amazing I think? You can check out the whole article with this link. As the cooler weather kicks in don't forget your Preventative medications. if you haven't seen your GP for a while about your Asthma could be well worth the visit and revise your specific requirements. 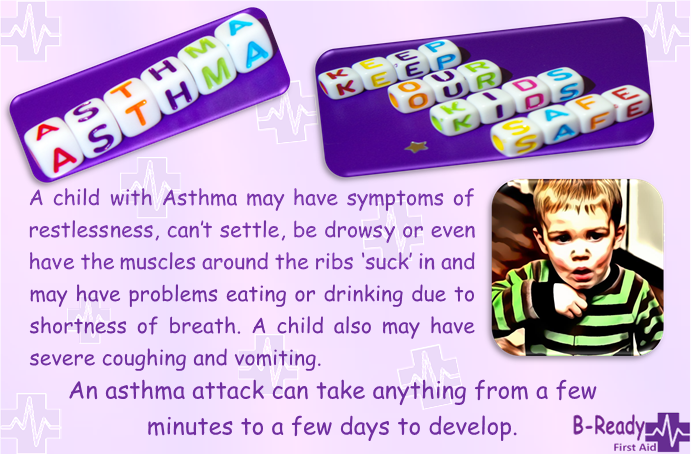 Our lives are so busy on so many levels these days.If you have Asthma take time for you! Care for your health, don't run none stop & leave it to the last minute. 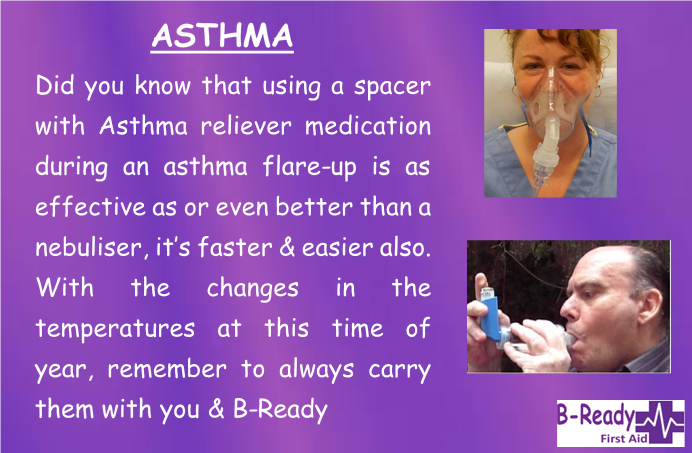 Asthma first aid Adult Refresher on how to use a spacer and Puffer correctly. 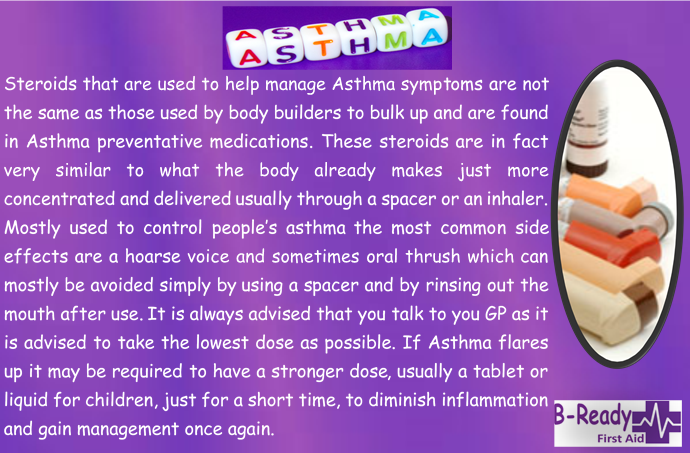 Interesting information from the Asthma Foundation about the use of spacers!